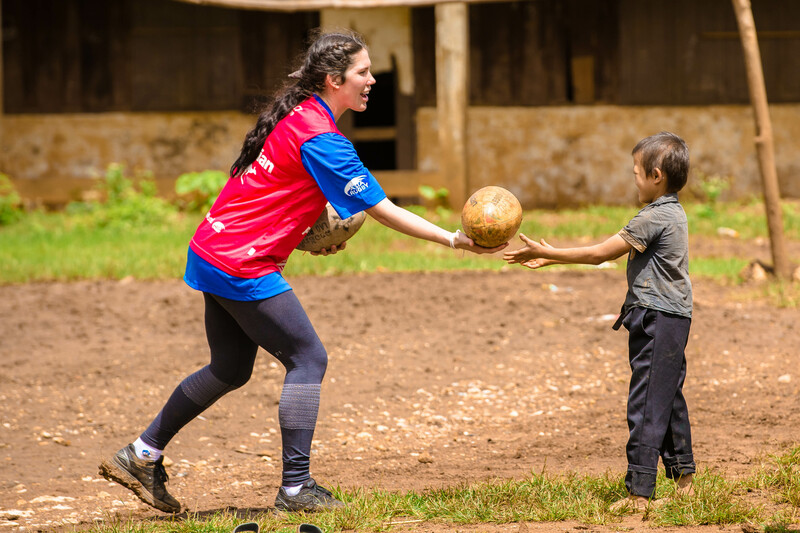 On Universal Children’s Day, Australian Rugby Sevens star and ChildFund Ambassador Charlotte Caslick talks about the positive impact of sport in her life, and why every child should have the opportunity to play, learn and grow. Aussie Rugby Sevens star and ChildFund Ambassador Charlotte Caslick believes that every child should have the right to play, learn and grow. The ChildFund Pass It Back rugby for development program is giving many young people here the opportunity to take part in tag rugby. It’s often the first time they’ve had the chance to play organised sport. Not only is this rugby for good program giving vulnerable children from developing communities to chance to play, but its unique curriculum also teaches young players about planning for the future, teamwork and gender equality.